Looking for a stunning kitchen? Looking for a beautiful bedroom? 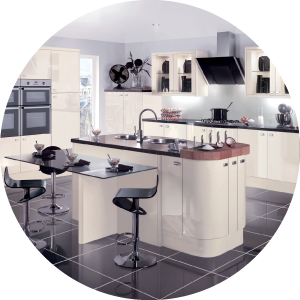 If you’re looking for a fitted kitchen in Farnham, Fleet, Farnborough, Aldershot, or the surrounding area, you’re in the right place. Located in Crondall, Manor Kitchens & Interiors have many years of experience in kitchen fitting, and fulfilling the dreams of our growing band of delighted customers. Whether you’re looking for something contemporary or traditional, and no matter what your budget, we’ll have a kitchen to suit your exact needs. 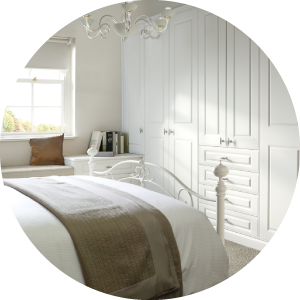 Our fitted bedrooms offer the widest range of designs for every taste and every budget. The extensive and carefully thought out range offers a choice of cabinets in various colours, styles, and sizes to suit your exact needs. To add that finishing touch our fitted bedrooms come with a range of internal fitments and accessories for you to create the perfect storage solution. You can view samples in our showroom, located in Crondall, midway between Farnham and Fleet.